Bengal under Akbar and Jahangir, based on a doctoral dissertation written some years ago, was first published in 1953 and has long been out-of-print. The text of the original edition, reproduced phase in the development of the new school of historical writing in India which broke away from the order preoccupation with the chronicling of surface events and attempts to explain and interrelate rather than merely describe what happened in the past. Concerned with a particular region during a significant period in its history, the present volume is an essay in indentification of the characteristic features of a past society, of the mutual impact of activities in various fields and of the mechanism of such change as was possible under relatively static conditions. The composite picture of a society in action over a half century of slow change in built up from bits of information scattered through a wide range of source-material,-Bengali literary works, Persian chronicles, accounts of European travellers, religious texts in Sanskrit and Bengali and Raghunandana’s Smiriti which guided the ritual and, in some respects, the secular conduct of the Bengali Hindu. Admittedly, it is an inadequate reconstruction, for many of important pieces in the jigsaw puzzle are missing. As an exercise in understanding social and cultural phenomena in a by-gone age, the present volume is intuitive in its approach. A long prologue appended to the revised second editon, based on the methods and findings of social anthropology, attempts to rectify the limitations of mere intuition. The data presented in the original work are reappraised unravel the social structure, the norms, the systems of values and beliefs, the political and economic organization, the processes of transmission and transformation of tradition, selectively, some of the source material on which study was based, are scrutinized afresh, and they have yielded a wide range of significant infornation in response to the queries. Tapan Raychaudhuri (08.05. 1924-26.11.2014) A distinguished historian of modern India’s economic and intellectual history Prof. Tapan Raychaudhuri passed away at his home in Oxford. He was an Indian historian specializing in British Indian history, Indian economic history and the History of Bengal. Trained under Sir Jadunath Sarkar, the founder of modern historiography in India, Raychaudhuri earned his laurels early. At 25 he had already pocketed a D.Phil degree from Calcutta Univarsity and also published Bengal Under Akbar and Jahangir (1953), a pioneering social history of Bengali society and culture. He was at Delhi School of Economics, Delhi University from 1959 to 1970, the golden years of the institution. From here he launched single handedly the journal Indian Economic and Social History Review in 1962, the leading international Journal in this fields till present. Early 1973 saw Rayachaudhuri move to the University of Oxford, where he presided over the teachings and research of South Asian History for the next 22 years. It was from Oxford that he presided over and jointly edited with the famous Aligarh based medievalist, Prof. Irfan Habib, the authoritative Cambridge Economic History of (pre-colonical) India. ONLY A FORTUNATE FEW can look back on their first academic effort with comfortable self-assurance. The present writer is not one of them. Re-reading something one wrote fifteen years ago,-when one’s equipment was even poorer than it is now,-can be a highly embrassing experience. Having gone through it, I felt less than enthusiastic about having this volume reprinted. I repressed these probably sensible hasitations mainly for one reason. The material brought together in this volume has been collected and arranged on the basis of a single criterion, viz., common-sense or the lack of it. A fresh look at the same data in terms of the methods and approaches of social anthropology can provide new insights into the nature of medieval Bengali society and its processes of change. Hence, the decision to reprint this volume and his somewhat lengthy prefactory exercise in method, which explores certain implications of the data not brought out in the text. Let me begin with a negative statement. The sub-title to this volume is misleading. As it now stands, the book is not is not a “study in social history”, introductory or otherwise; thought it contains a fair amount of material which is the stuff of social history. The mistaken description is linked to an incorrect definition,-the one quoted from Trevelyan in the introduction to the volume,-which inflates the scope of the subject to include all history, with politics not quite left out. If the scope of social history is as wide as the activity of man in society,- and that without any clarity of focus,-then there is hardly any point in using the qualifying adjective. Social historians,-some consciously, other less so,-have moved away from such omnibus definations, but as yet there is no clearly articulated consensus as to the limits and legitimate contents of the subjects. For the purposes of the present note, I shall accept the following dentition: “investigation of historical communities by the methods of social anthropology or sociology,” 1particularly the former, because it has greater relevance to the study of such pre-industrial and relatively small-scale communities as are the subject-matter of this volume. Like most definitions of wide-ranging subjects, this one is of course somewhat arbitrary. Its major advantage consists in the fact that social anthropology unlike “ orthodox” social history, has a clearly defined focus and method for the study of societies. If it has not discovered “Laws”, the mass of ethnographic data collected by social anthropologists in pursuit of theoretically defined research aims has revealed strinking regularities in human institution in deciding what to look for and how to inter-relate one’s findings in the study of man’s social past. Further, one is made aware of dimensions,-of implications of actions and institutions,-which are by no means obvious from the data. In terms of our definition, social history is a study of different kinds of institutionalised relationships, i.e., relatively enduring features of human associations. In the past ages and their experience of change over time. The ideas, values, and expectations associated with the institutions are also within its legitimate scope.2 Our problem of definition does not, however, end here. If social history is a study of relationships. What is the relevant until of references? Whose relationships and what relationships are one to study? The Answer to these questions remain somewhat imprecise.3 In an isolated small-scale community, the unit to be investigated is physically distinct. Only the systems of social relationships binding the members of the community together in a variety of mutual bonds are not are not physical entities, but constructs which the observer has to build up. 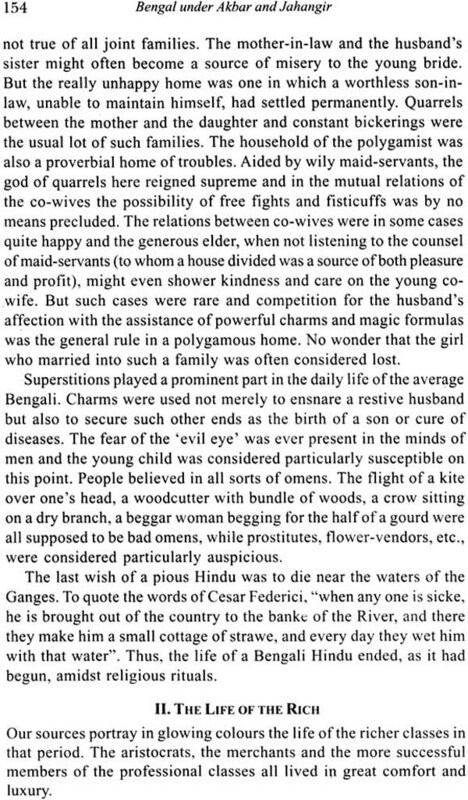 The unit of reference in a more complex and spread-out community,-like the medieval Bengali society,-cannot be physically indentified with the same ease. We may at best identify this society with the people living in the geographical territory of Bengal and speaking for generations the Bengali language; but such a definition has obvious loopholes. The question as to what relationships do we explore is somewhat easier to answer. The nature of human associations differs according to the nature of particular activities so that we have so many “social fields” within each of which the individual members of a society are bound together in a particular web of relationships. The pattern of relationship in one “field,” say, the economic, modulates the pattern in others, so that at one level, what is to be studied is the relationship between the relationships. “ all the relations of all kinds … are thought of as a network in which people are the knots or points, and relationships, of whatever kind, are the threads or lines,”4 Our subject-matter, then, is the arrangements subsisting in the various areas of social life,- at a point of time as also over time,- the mutual connections between these arrangements as also the ends which particular institutions and arrangements serve in a given context, These ends may be the same as the ostensible objective in view or something very different and unsuspected.5 There is no way yet of ensuring, however, that our account covers the entire social system, for what” aspects” of society together constitute the totality; remains an unsolved problem. The best one can hope to do is to cover various aspects of social life in their interrelations,-without hoping to exhaust the range of possibilities. The above elementary discourse in social anthropology has a limited purpose, viz. to indicate the lines along which an investigation into and rearrangement of the data presented in the text are suggested below in this note. The broad approach above can provide insights which are by no means mere jargonised benalities; and this, despite the serve limitations of source material. One fact, however, should be borne in mind. Interrelations, which have often to be guessed from raw data, cannot be “proved” in the same way as the occurrence of a particular event can be. The difficulty is all the greater where the relevant material is scanty. We have at best circumstantial evidence suggesting a possibility, strong where the data are plentiful, weak elsewhere. 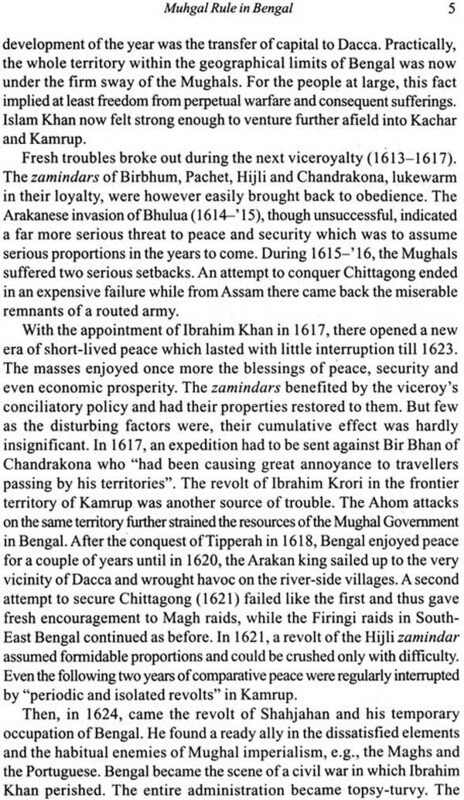 For reconstructing the picture of the Bengali society in the early days of the Mughal rule, the data available are unsatisfactory at two levels. The information regarding most aspects of social life,-the family and kinship systems, social stratification, political organization, beliefs and rituals etc.,-is extremely inadequate, though not uniformly so. It is as if only a few pieces of a jigsaw puzzle have accidentally survived. Carefully pieced together, they suggest at best, a faint broken silhouette, with one limb here, another there, coming out in clear detail. The second difficulty is in a way even more serious. The data have a limited focus, covering in any depth only small segments of the total population. The central figure in the indigenous literary and religious texts,-our chief source of information,-is the Brahminical Hindu, a person belonging to some upper stratum of the caste society, his world view and lifestyle determined by Puranic mythology, commonplaces of the Indian philosophic tradition and the regulations embodied in the Smriti literature,-the eighteen tattvas of Raghunandana in particular. 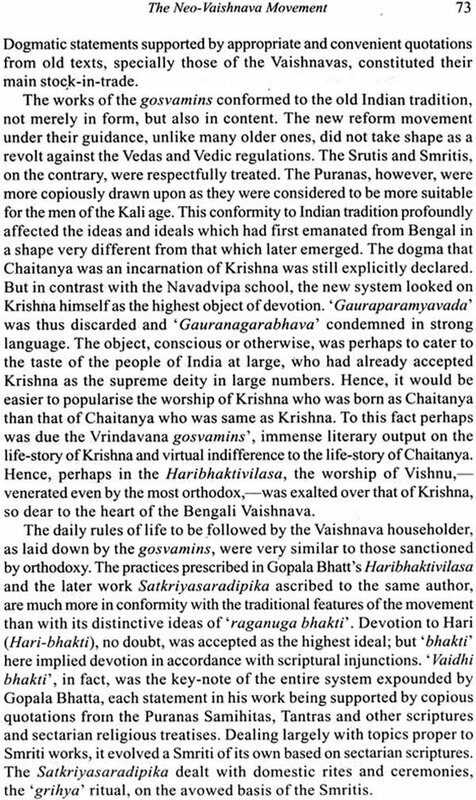 If he shares with men of lower ritual status belief in magic and the occult powers which are not parts of the Brahminicals”Great Tradition”, such beliefs and the associated rituals has already achieved apotheosis is the works of Raghunandana himself. Within the main focus of our source material are also included the various sects partly in revolt against the world-view and rigid regulations of the “traditional” way of life. We see them in our period in the process of reabsorption into the orthodox caste order and the life-style of the upper caste Hindu, though the beginnings of a fresh departure from the anti-orgiastic tendencies of Brahminical orthodoxy is already there. The picture grows increasingly hazy as one moves from the centre of the focus towards the periphery where the mass of agriculturists, artians, village servants, tribal people, etc., appear briefly as sketchy, shadowy figures, despite some supplementary information provided by the Persian chronicles and the non-indigenous sources. There is some clarity as to the economic function of these groups-“peripheral” from the points of view of our sources. Perhaps the available descriptions of their-habits and started of living are also authentic enough in matters of detail. 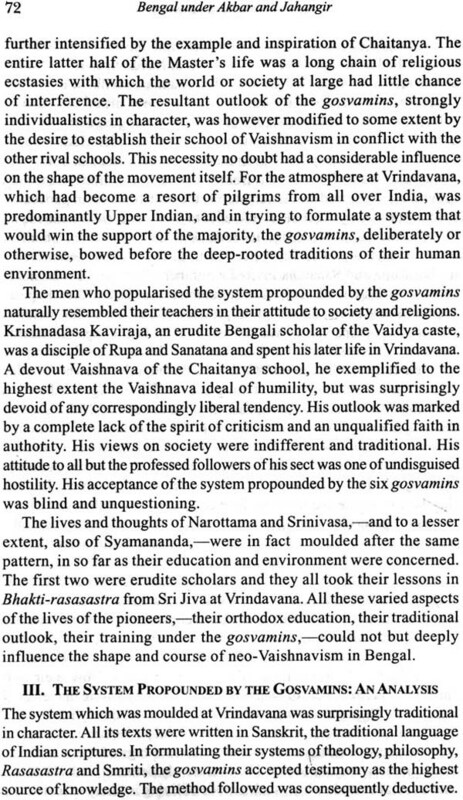 But when punctilious observance of Brahminical rituals and concern for caste values are attributed to semi-nomadic hunters, the credibility of our information has to be questioned. 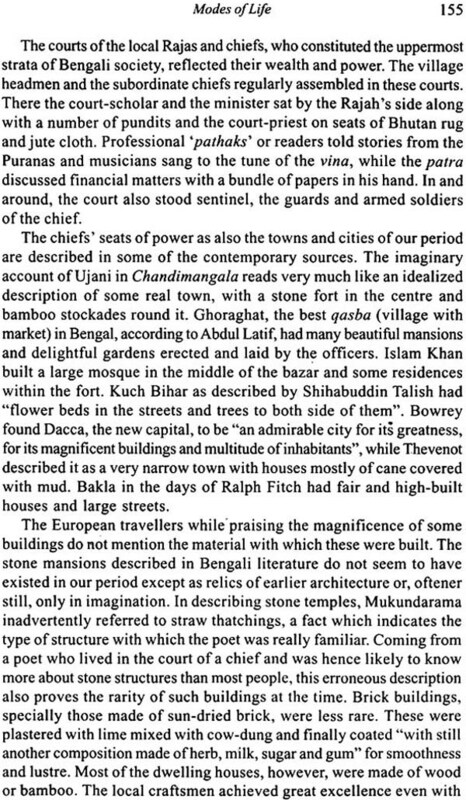 Even our knowledge of political organization does not go below the levels of the village headmen,-a statements which no longer applies to other parts of medieval India.6 Hense, our knowledge of medieval Bengali society is confined, by and large, to the genteel upper strata,-“upper” in terms of power, wealth, or ritual status. The masses come authentically into the picture only so far as certain limited aspects of their lives are concerned. The social life of the Muslims in Bengal has been discussed in this volume mainly on the basis of references in the writings of” outsiders”, except for the works of the court poet of Arakan. 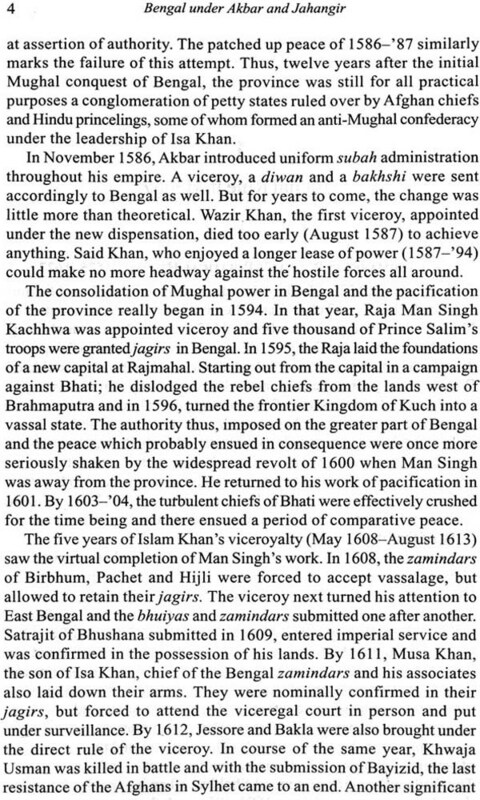 Such writings tell us very little about the structure of the Bengali Muslim society. Dr. Abdul Karim’s pioneer work on the Muslims in medieval Bengal,7despite its great value for religious and cultural history, has not added substantially to our knowledge of social structure, evidently because the relevant data are not available. The Political Biography of a Mughal Noble Munim Khan Khan-I-Khanan 1457-1575.